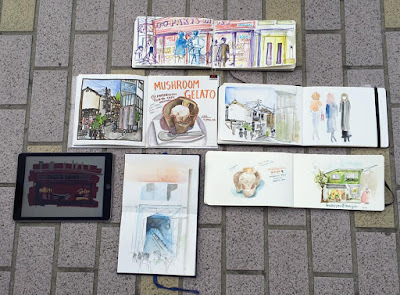 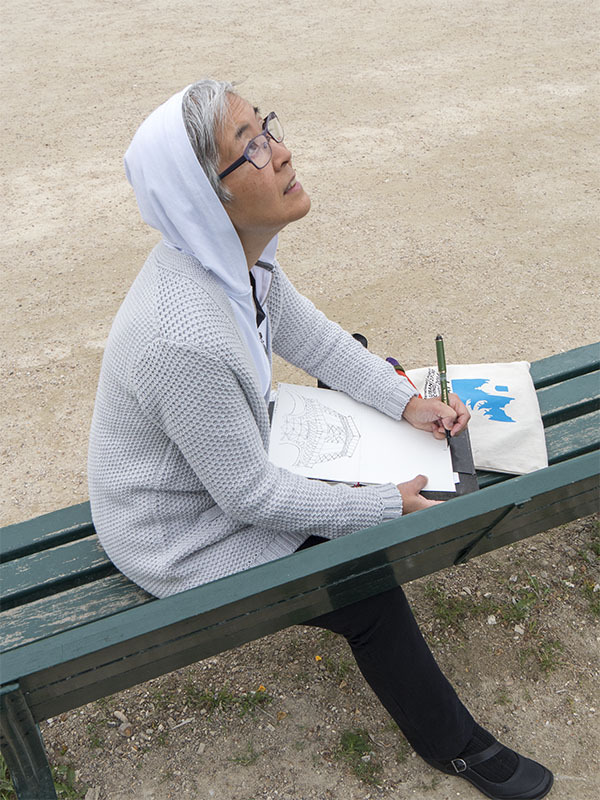 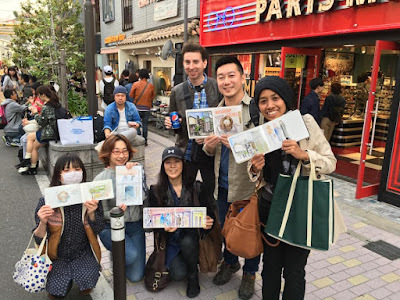 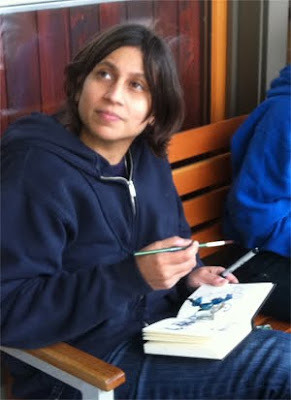 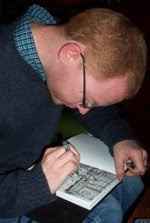 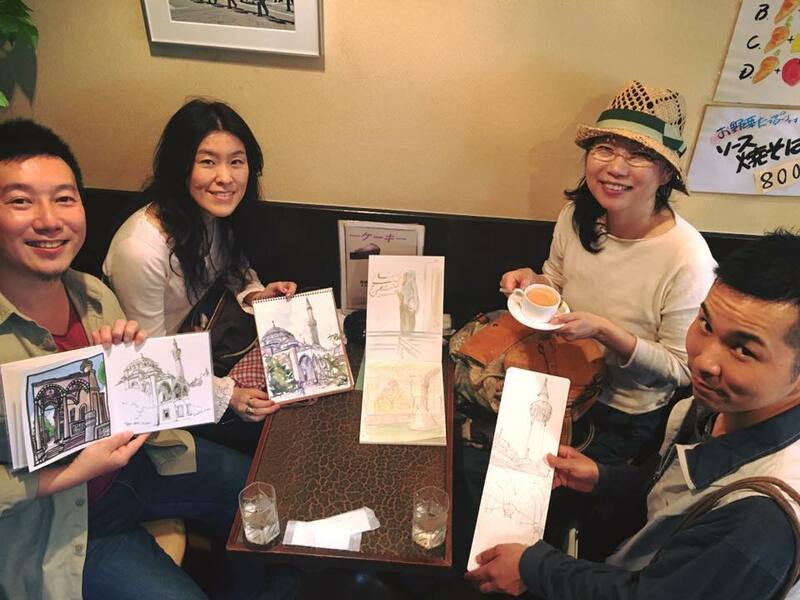 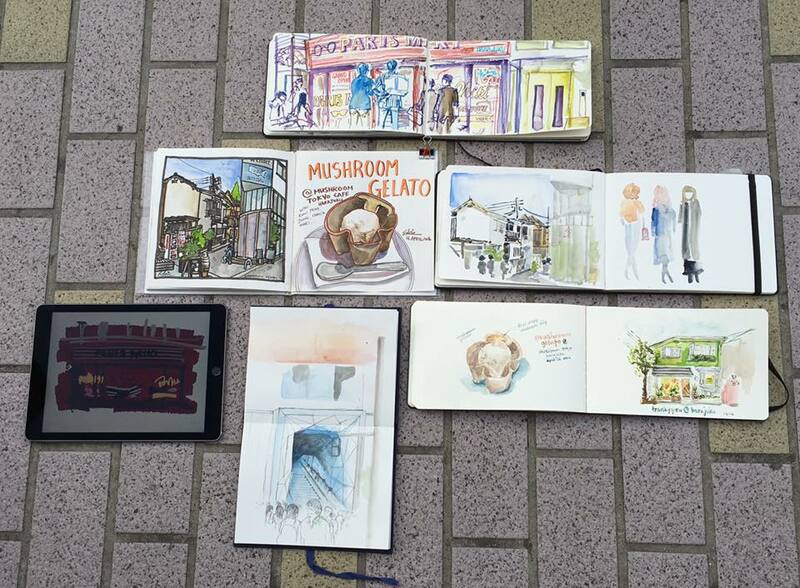 Although Japan (in Kyushu region) has been hit by other consecutive big earthquake, sketchers from overseas and Tokyo sketchers met up and explored the city in Tokyo by sketching. April 16th, Peny from Bali and Edric from Singapore joined us, had sketch session in the restaurant called Mushroom Tokyo as well as on the street called Cat Street. 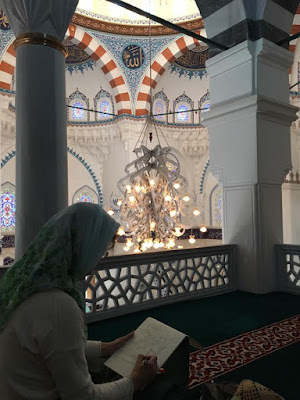 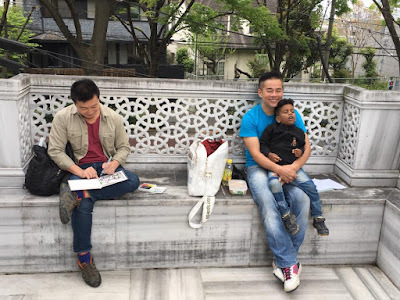 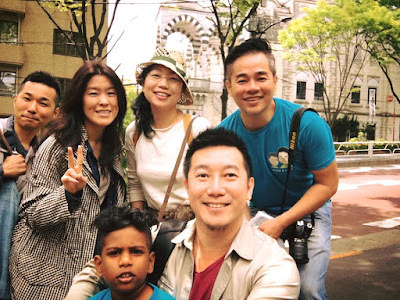 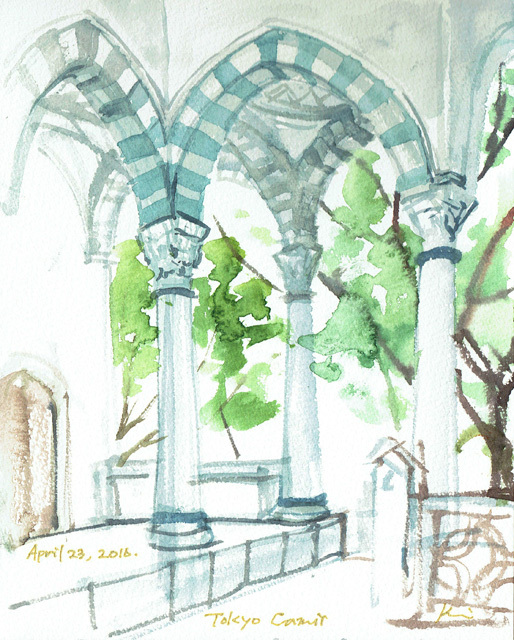 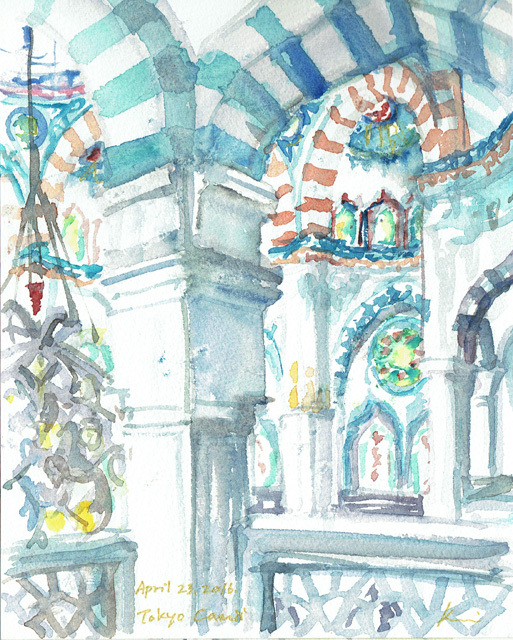 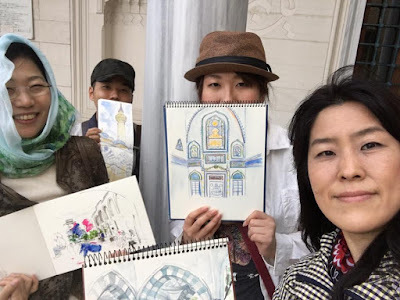 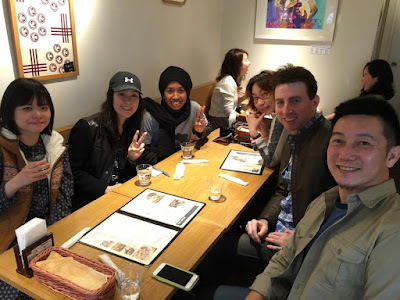 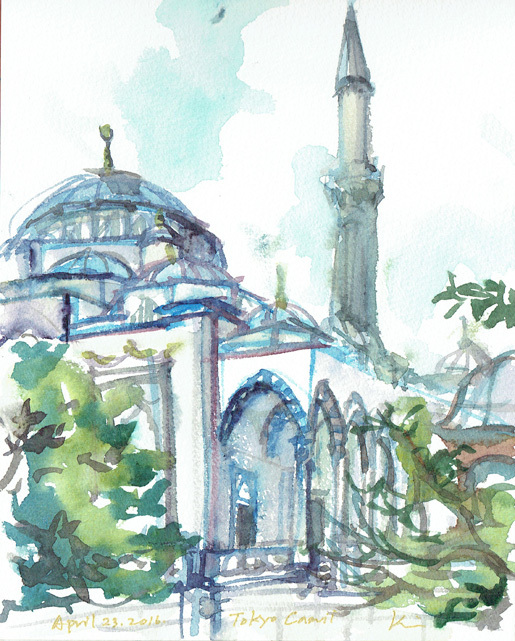 April 23rd, Edric and his friend from Singapore Leon and his son Aizer joined 51st World Wide SketchCrawl Tokyo team meating, we visited a beautiful Turkish mosque called Tokyo Camii.